Tylophora is a plant that grows in tropical parts of Asia, including India, Sri Lanka, Thailand, and Malaysia. While it did not originate there, it now also grows in Africa. The name Tylophora comes from "tylos" meaning knot and "phoros" meaning bearing. Tylophora indica (Burm.F) Merill, commonly known as Indian Ipecse or Antmool belongs to family Asclepiadaceae. The plant is perennial, small, slander, a twining or climbing herb. Leaves are Ovate to elliptic (6.0-10.5*3.8-6.0 cm)., petioles are up to 12mm long. Flowers are minute (1-1.5cm across) and corolla is greenish yellow or greenish purple in color. Fruit is a follicle. Tylophora is traditionally used as folk remedy in certain regions of India for the treatment of bronchial asthma, inflammation bronchitis, allergy, and dermatitis. 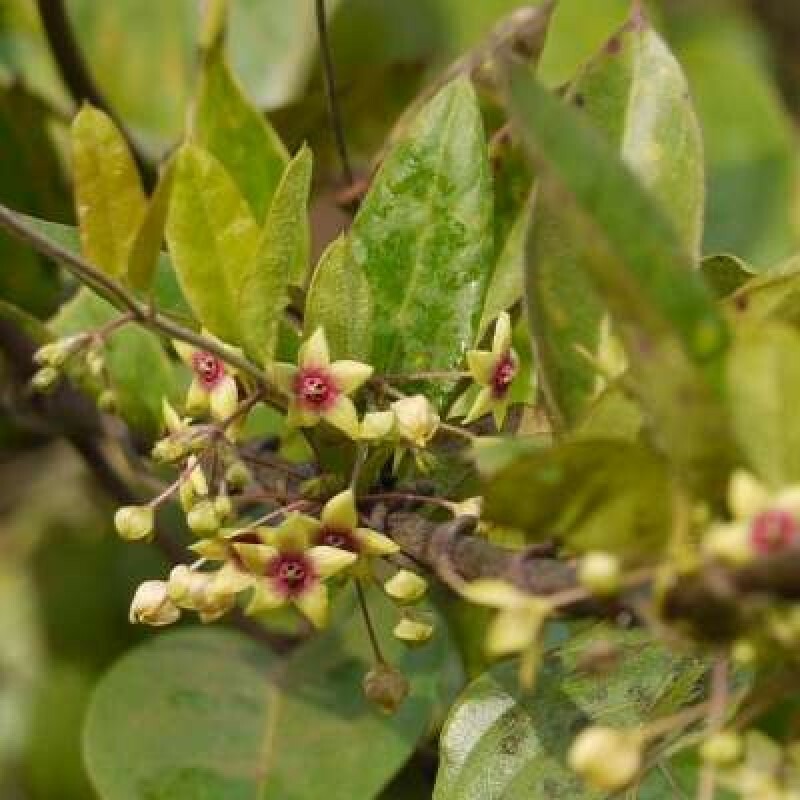 Tylophora also seems to be a good remedy in traditional medicine as anti-psoriasis. Tylophora is conventionally propagated through the seeds. The seeds show good germination percentage, but fruit set is rare. Seeds start germination in 10 days and the germination will complete in 3 weeks. After germination, the 3 months old plantlets are ready to transplant in the field but the transplantation should be done in rainy season and plant distance should also be maintained. The annual rainfall required for Tylophora plant is 1000 -1500mm. The plant prefers partial shade condition of the forest and soil rich in humus. It needs the support of host vegetating for climbing to a sunny location. For its cultivation, loamy soil to clay and supplemented with farmyard manure, ambient conditions of temperatures and sunlight are desirable.